Sometimes you find a book that is so powerful, so moving, that it literally steals your breath away. Profound, painful, beautiful, poignant all can easily describe The Moment by T.C. Anderson. This book is not an emotionally easy read. There are times when you can feel your heart being ripped out, but it is good, so very good. The book follows the lives of two teen-aged girls living in Boston. Mia Durrett is rich, she is a genius and she is very lonely. While having the resources of a driver, a maid, and a cook, it still doesn’t give Mia what she longs for, companionship. Mia’s parents travel all over the world for work, and when they do Mia stays home in a big house, all alone. Her above average IQ doesn’t make her life at school any easier as well. Mia’s genius status leaves her on the sidelines when it comes to high school social status. Jessie Carelli is in dire need of help. She is being horribly abused by the man raising her. Jessie’s life is literally in peril, she is starving, for so much in life it at times is painful to read. 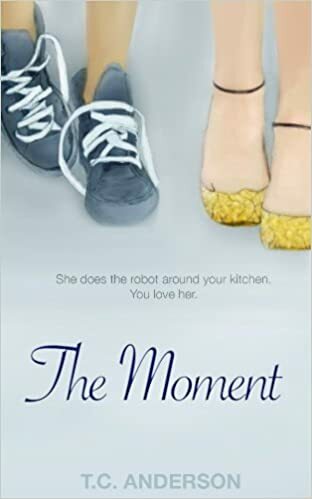 Her life changes, the moment Mia Durrett becomes her partner in science class. This book is hauntingly beautiful. by T.C. Anderson et al.